You can now be in control, wherever you are. 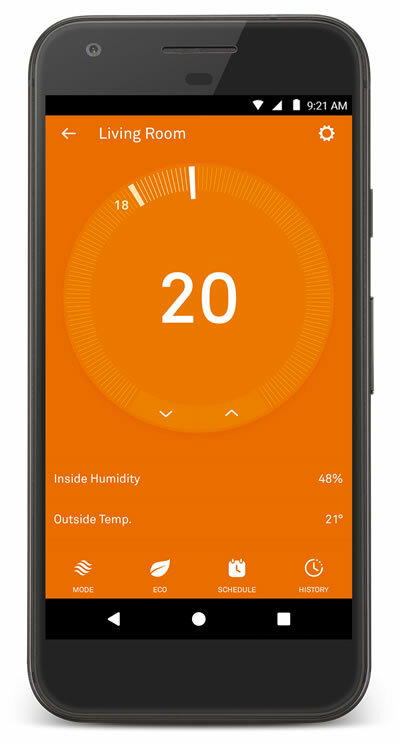 Nest is a thermostat which our engineers can fit and the customer can set the temperature in the house when they are away by mobile, tablet or laptop. Connect Nest to Wi-Fi, sign up for a Nest Account at nest.com/uk/account, and download the Nest app for your mobile or tablet. 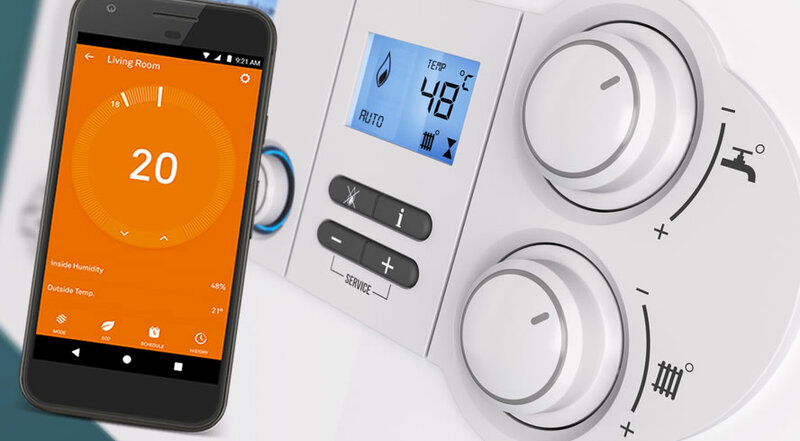 You can then control the heating from your phone. So no more coming home to a cold house, just turn the heating on before you get there. Prices start from just From £280.00 plus VAT. Read more. No more adjusting the programmer—now you can manage the heat from your thermostat. Once it’s on your wall, all you need to do is teach Nest well. Turn it down to save energy, turn it up to get warm — the Nest Thermostat learns from every adjustment you make. And it keeps getting better. Call us on 01342 841651 for more information.